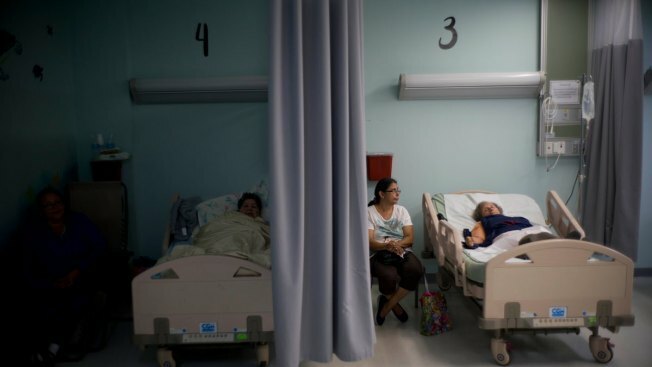 In this Thursday, Sept. 28, 2017 photo, patients lie in their beds at hospital in Catano, Puerto Rico. In Hurricane Maria’s wake, hospitals and their employees are wrestling with the same shortages of basic necessities as everyone else. There are people who are unable to keep insulin or other medicines refrigerated. The elderly are particularly vulnerable to the tropical heat as widespread power outages mean no air-conditioning. A key U.S. maker of hospital products said it expects a temporary shortage of small saline bags because of the hurricane that hit Puerto Rico. 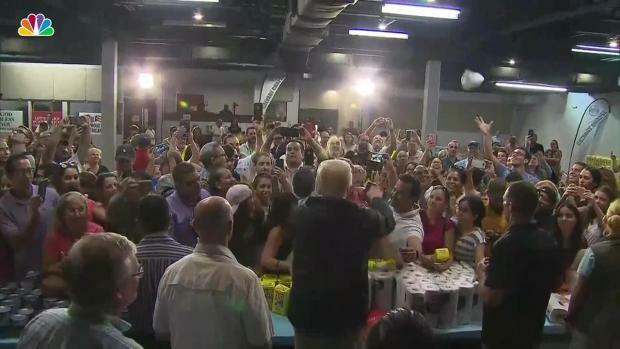 The hurricane wiped out the island's electrical grid, shutting down Baxter's three Puerto Rico factories for several days. The Deerfield, Illinois-based company is still ramping up production by using generators. The Food and Drug Administration said Friday that it's working with Baxter to limit any shortages, helping the company get fuel and manufacturing supplies and ship products. The FDA also is letting Baxter temporarily import its saline "Mini-Bags," as they're called, from the company's factories in Ireland and Australia. The IV bags are widely used in hospitals to give patients fluids and medicines. Baxter is the biggest maker of small saline bags for the U.S. market. A couple other companies make similar products, but since 2014 there have been shortages across the industry. "Further shortage of this product could potentially put U.S. health care at risk," FDA Commissioner Dr. Scott Gottlieb said in a statement Friday. Last week, the FDA said it's worried there could be shortages of about 40 critical medicines because of the disruptions caused by the hurricane at the dozens of drug and device factories in Puerto Rico. Baxter and other companies have said that before Maria hit, they rushed to ship finished products off the island. They've also been moving inventory around to try to boost the supply for the U.S. market.